I am an experinced user research professional with a background in Sociolinguistics, Management and UX, passionate about creativity, creative research methods and co-creation. Currently working as European Director of Research & Insights at Wipro Digital, I have experience in Research Design, Qualitative Research methods, focus group design and facilitation, data analysis. My goal is to help teams create products and services which support the business and enhance the customer experience. I have a genuine passion in understanding people and translate the insights gathered through tailored research processes into meaningful and actionable strategies that support the Clients’ business through a positive impact on the overall CX. I have strong organisational skills, and experience in managing effectively multidisciplinary and remote teams and projects. My academic background is in Sociolinguistics, HCI and Management and have worked as freelance consultant in communication, as a journalist and as a user researcher for 15+ years, especially in the UX, e-inclusion and e-democracy area, before being awarded with an ESRC [Economic and Social Research Council] scholarship at London School of Economics and Political Science, department of Management in 2009, until late 2012. Between 2009 and 2012 my research activities have focused on Privacy, Consent & Revocation, Data Quality and Data Management as part of a UK based research project, EnCoRe (Ensuring Consent and Revocation). My interests have included privacy and data quality policies, regulations and practices within UK large organisations. Early research activities, performed in several European institutions, i.e., EIAO (European Internet Accessibility Observatory), ITTK (Hungary), the e-Democracy Centre (Geneve, Switzerland) focused mainly on UX, digital divide and e-inclusion policies and technologies. I am passionate about User research and experienced in qualitative research design and methods, including Surveys, Questionnaires design, Interviews, Focus groups facilitation, workshops’ design, qualitative data analysis. Writing and communication are passions: being effective and memorable in my speeches means playing more on the emotional aspects of communication and focusing on the key messages in engaging and active ways. I have started publishing my articles in early 2000, focusing mainly on e-democracy, e-inclusion, digital divide, Information Society and media convergence. As a journalist, I have developed my own investigative technique which uses LEGO bricks and takes advantage of constructivist theories. In 2013 collaborated with Rennes Business school developing a research proposal about collective creativity: the goal is understanding how we can unleash the collective creativity of a team and co-create ideas and concepts. This research lead me to become passionate about co-creation and recently started publishing articles and thought about the direction of collective and social creativity. I am also Evaluator of the Sixth and Seventh Framework Programme of the European Commission, as well as in CIP ICT-PSP in the field of social inclusion, e-inclusion, AAL and ageing well. – International politics & Human Rights. Specialties: UX research, Research Design, Qualitative research, Project Management, Excellent presentation and communication skills, Creative problem solving, goal oriented, flexibility, critical and analytical thinking. 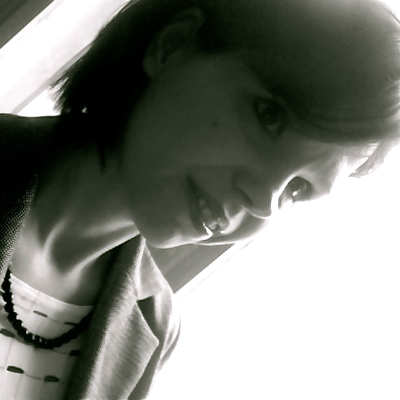 26th January 2015: Meet the #mex15 speaker: Patrizia Bertini Marek Pawlowski describes my work and anticipates the event at MEX in March. 16th June 2014: Lego – building concepts not models! Nania Tait on the Lego Serious Play workshop at Hot Source. 12th June 2014: Local Lego answers creative industry challenges Marek Pawlowski writes about his experience with LSP. 16th April 2013: T3 GAZETTE: Robert Rasmussen on the LSP meeting in Billund.